The Beginner's Mind is the mind that says, "I am empty. Fill me." It is the mind that says, "I am here to learn. Let me see what there is to learn." It is the student, wiling to take risks, willing to get things wrong in order to gain a greater understanding. 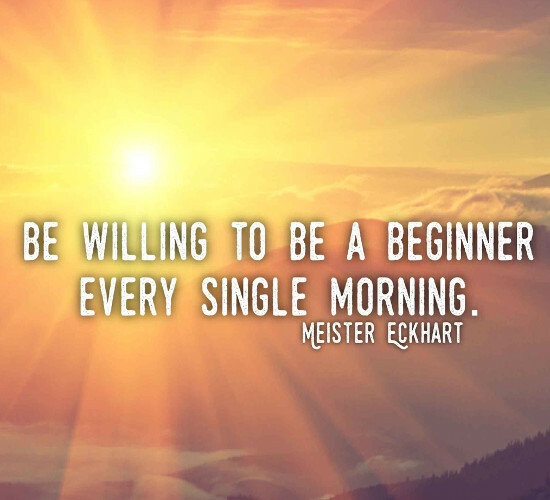 The Beginner's Mind is more open to possibility, less likely to close the door with a denying, "I already know this." The Beginner's Mind is how we learn, and approaching each day with the Beginner's Mind helps to insure that we are always ready to learn.